Austin Avery is a member of the Young Leaders Program at The Heritage Foundation. The war in Syria is heating up again this week after recently subsiding from the front pages of newspapers. On Sunday, Russia claimed that rebels in northwestern Syria had fired shells filled with chlorine gas near the city of Aleppo. Although the rebels have not demonstrated such a chemical capability in the past, Syria’s Assad regime has repeatedly used illegal chemical weapons to demoralize insurgents and stampede their civilian supporters away from the front. Moscow could use this alleged incident as a pretext to resume the postponed offensive against Idlib province, the last major stronghold of Syria’s fractious rebel coalition. Already, Russia has resumed airstrikes in Idlib for the first time since the Sept. 17 Sochi agreement between Russia and Turkey produced a tenuous cease-fire. Syria’s Assad regime, which is committed to retaking “every inch” of Syria, also escalated artillery attacks on rebel-held towns in southern Idlib. The fragile cease-fire in Idlib, which from the beginning was violated by factions on both sides of the conflict, is on the verge of breaking down. Syrian forces, backed by Russia and Iran, may soon resume their postponed offensive, which would trigger a humanitarian crisis and generate another flood of Syrian refugees. Meanwhile, a surprise offensive by the Islamic State group (better known as ISIS) in eastern Syria near the Iraqi border dealt a major setback to the U.S.-backed Syrian Democratic Forces. These are the Kurdish-led militia coalition that recently spearheaded the ground war against ISIS, killing 92 of its fighters. Turkey’s military clashes with Syrian Kurds have diverted Syrian Kurdish forces away from the fight with ISIS, slowing the pace of their campaign. ISIS fighters also have dug elaborate tunnel networks that have reduced their vulnerability to U.S. airstrikes. ISIS is assessed to have about 2,000 fighters left in eastern Syria. But another al-Qaeda offshoot, Hayat Tahrir al-Sham—the “Organization for the Liberation of the Levant”—commands the loyalty of five times as many fighters in Idlib, where it controls more than half of the territory. Although Western media remains focused on ISIS, Hayat Tahrir al-Sham remains a ticking time bomb that arguably poses a greater long-term threat to U.S. national security and Syria’s stability. Like ISIS, Hayat Tahrir al-Sham has rapidly evolved in the crucible of Syria’s civil war. The group’s core, initially known as Jabhat al-Nusra (meaning “Victory Front”), was established in 2012 as the Syrian branch of the Islamic State of Iraq—the al-Qaeda franchise that later evolved into ISIS. Jabhat al-Nusra remained loyal to al-Qaeda after ISIS broke away in 2014. Jabhat al-Nusra rebranded itself as Jabhat Fatah al-Sham (“Front for the Conquest of the Levant”) in July 2016 and publicly distanced itself from al-Qaeda, although it still contained many al-Qaeda members. The rebranding was motivated by a desire to increase its support from Syrians who were repelled by the brutality and fanaticism of ISIS and reluctant to risk joining al-Qaeda, which would invite U.S. airstrikes. To increase its popular appeal, Jabhat Fatah al-Sham made ideological concessions that led many al-Qaeda loyalists to defect, criticizing the group for embracing nationalism and local issues while downplaying the global jihad. 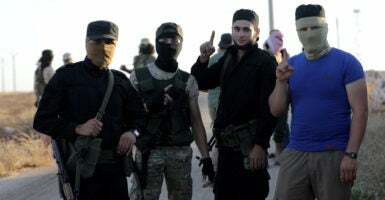 Like a snake shedding its skin, the group again changed its name in 2017 to Hayat Tahrir al-Sham and merged with several other Islamist extremist groups to form a broad front against the Assad regime. 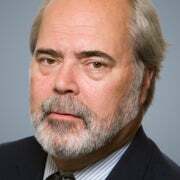 This effort to embed itself within a broader coalition to ensure its survival in Syria exacerbated long-standing ideological differences with al-Qaeda with regard to its independent agenda, finally triggering an official break between the two groups. Recent estimates have placed Hayat Tahrir al-Sham’s size somewhere near 10,000 fighters in the Idlib region, making it the largest armed group in the province, which contains an estimated 70,000 fighters in total. These include many foreign fighters, including Arabs, Turks, Chechens, Uzbeks, and Muslims from China’s Xinjiang province. Some of these groups, like the Turkistan Islamic Party, are allied to Hayat Tahrir al-Sham. The ideological shift that came with Jabhat al-Nusra’s gradual transformation into Hayat Tahrir al-Sham has caused rifts amongst members over the past year. As a result, some defectors have lashed out against the group’s leader, Abu Mohammed al-Julani, because of his more pragmatic views, including his opting to cooperate with Turkey in a limited fashion. Internal strife inside Hayat Tahrir al-Sham has given rise to assassinations of senior leaders in the group. Turkey and ISIS also are rumored to have committed several of these targeted killings. Despite the discord within Hayat Tahrir al-Sham, the Islamist extremist network still poses one of the greatest long-term challenges for the U.S. and other countries trying to stabilize Syria. Amid the confusion of Syria’s kaleidoscopic and multi-sided conflict, one thing remains certain: Hayat Tahrir al-Sham must be isolated, marginalized, and defeated before a stable peace can emerge in Syria.